Learning piano is a life skill that can only serve you in beneficial ways. 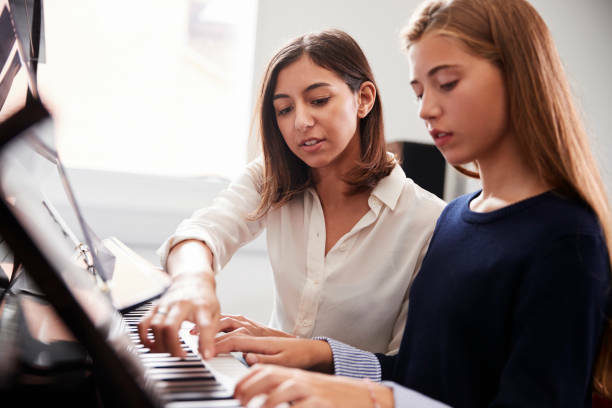 Here are some ways that you can gain from learning piano. Learning piano will boost your intelligence. This can be proven in many ways, but we’ll stick with the most important one. It has this effect because it’s like learning a new language. When you learn piano, you are learning a new notation and its meaning. You also need to learn a corresponding sound and action for each new notation. This is, in essence, learning a new language. There’s a reason that we teach younger children new languages: it makes them smarter. This isn’t an old wives tale, it’s a proven fact. It’s been proven that language learning improves the brain’s cognitive function. Some of these benefits include the ability to multitask, enhanced critical thinking, and a higher capacity for creativity. The act of learning the piano’s language literally sets you up for mental success! Learning piano instills good habits. Everyone knows the phrase “hard work pays off.” Nothing applies more than those looking to learn the piano. Mastering the piano requires more than hard work, it requires discipline. It requires hours spent in one position, grueling over the same few pages of music. This requires a steel will and a determined spirit. It also requires having the ability to see and plan for the long term. This is the main benefit of learning piano; it teaches commitment. Even more so, it teaches you that commitment pays off. This positive reinforcement can be applied to any other skill. Learning and mastering the piano instills good habits that will be applicable in every facet of your life.